We were sorry to find that Laura was still not quite well enough to join us this week, and everyone sent good wishes for a speedy recovery. Ian was on Committee duty, and Carol as usual sent her comments. They will be found at the end of this report unless otherwise indicated. It was good to see Mike and Julie back again, and we quickly got going on a detailed discussion of the first 2 chapters of The Two Towers. Eileen is still somewhat suspicious of some characters, at least to begin with, and also has some reservations about the structuring of the story. This afternoon she directed our attention back to our previous reading when she remarked that the Company seem to spend far too long in Lorien. She did not attribute this to idleness, however, but to Galadriel, who, Eileen suggested, is intentionally confusing the time. Chris expanded on this, observing that the time delay in Lorien was the result of Galadriel taking time to decide whether or not to take the Ring herself. Mike commented that power was her weakness. Angela observed that the Company was in need of respite, while Julie remarked that Tolkien seems to be indulging in writing about the influence of the First Age. Tim led us into the reading for this week when he mentioned that Hammond and Scull seem to have interpreted the meaning of the ‘fall’ of Boromir. Julie noted that on Amon Hen Aragorn sees things as Frodo does, and I wondered if the special attribute of the place meant that Amon Hen worked like a palantir. However, Mike suggested that Aragorn’s perception of the sun darkening implied his depressed state. Angela remarked that Aragorn is characterised as very human in this chapter (The Departure of Boromir). Tim observed that Aragorn uses the high seat as a compass to find the hobbits. Chris noted the sighting of an eagle, and mentioned that it would prove significant later. Carol commented that Tolkien doesn’t write in the modern manner of intercutting episodes and now the structure is divided into 3 – Aragorn, Legolas, and Gimli, Merry and Pippin, Frodo and Sam. Tolkien writes in blocks that leapfrog or interlace and in ‘The Riders of Rohan’ we go back to Merry and Pippin. Mike also remarked that in these chapters Tolkien diverts from the single focus of the Quest. Tim suggested that this technique lends and air of mystery. Julie observed that although they are now out of Faerie time, Aragorn, Gimli and Legolas take a long time to deal with Boromir and his funeral rites. Eileen remarked that Boromir has sometimes been antagonistic. Mike noted that Boromir has some of his father’s traits and these are weaknesses that the Ring can exploit. Tim qualified this, observing that Boromir shows his true worth at the end, when there is reconciliation. Angela noted his victory over the Ring, and Mike commented that Aragorn pays tribute to that, and Tim observed that the film portrayed this well. Mike remarked that Aragorn comes through this difficult time by trying always to do what’s right. Eileen observed, however, that Aragorn has a struggle to get on and do things. Angela noted that when Legolas and Gimli arrive on the scene Legolas doesn’t initially see who is dead. Julie suggested that there is evidence of awareness of Ulmo in the decision to entrust Boromir to the River of Gondor, and Tim added that the Gondorians were of Numenorean origin. Chris then posed the question of whether Aragorn would have used the Ring if it had stayed on the western side of Anduin. Angela was unsure. Tim noted that everyone who comes into contact with the Ring is tested. Mike, like Carol, found it interesting that Aragorn never reveals Boromir’s secret. Julie noted that this keeps up the morale of the others as well as maintaining honour, but Aragorn hints that ‘something happened’. Carol commented that Aragorn is wracked with guilt and indecisions at the way things have turned out and wonders which way to choose. Is he relieved a little when Gimli says: ‘maybe there is no right choice?’ Angela and Chris thought that Boromir’s act leads to Frodo leaving and so Aragorn’s choice is simplified. Julie suggested this resembled to ‘karma’. Boromir ‘falls’ and half an hour later he is dead. Mike thought that the description of dawn over the fields of Rohan had an operatic feel to it. Tim suggested it would have delighted Pat because it was so full of colours. Julie went on to note Aragorn’s ironic use of ‘debate’ to describe the slaughter of one set of orcs by the other. Mike described it as an example of litotes. I remarked on the vivid contrast between between the pastoral descriptions and the descriptions of the orcs and their behaviour. Carol commented on Legolas’s ‘Ah! the green smell…it is better than much sleep.’ Think of freshling mown lawns after a shower – gorgeous. Mike added that Legolas’s comment on the green smell recalls the way that smell delights the human spirit. Angela and I noted the need to push Aragorn to make a decision in Rohan. Mike remarked on the emphasis on Legolas’s ‘super’ eyesight in this chapter. Changing topic, Angela questioned the extent to which Gimli is continually negative. Tim thought Gimli is only offering his views, while Chris commented that Gimli is very practical and speaks his mind. Mike observed that Aragorn creates situations where all can contribute, but Tim remarked that Aragorn himself is very negative, and Angela observed that everyone is negative at times. Tim wondered if the red light in the east was the glow of the fires of Mordor. Mike wondered if it was the light of the orc-pyre, but Angela and Tim noted this could not be because that was to the west. Julie remarked that in the description of the green hill moves into alliterative mode. I thought this signalled a move into Anglo-Saxon sources. Julie added that it is setting up the encounter with the Rohirrim. Mike noted the power of the elven cloaks to obscure the presence of the ‘3 hunters’ as the Rohirrim ride by. Eileen questioned the background to the Riders staring down at the Dwarf and linked this to the discrimination he encounters in Lorien. Tim, however, pointed out that the Riders have to stare down because they are on horseback. 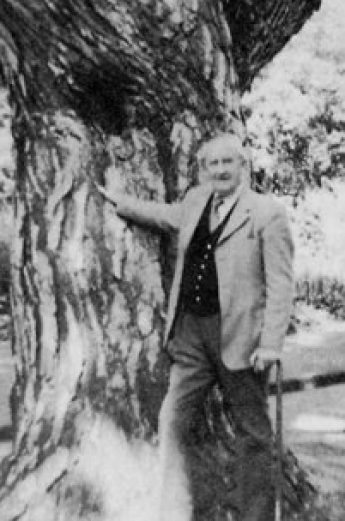 Mike suggested that Tolkien was implying a hierarchy. Angela pointed out that the Rohirrim had in ancient time had a feud with Dwarves. Tim remarked that Eomer has a problem with Gimli’s haughty attitude. Eileen noted the frequency with which choices crop up, and Carol commented: ‘The doom of choice’, there is free-will to choose one side or the other, or neutrality. Anyway, things will not be as they have been, for good or ill. Free will is a responsibility; you can’t just do as you please (see Alistair Crowley’s infamous: ‘Do what thou wilt shall be the whole of the law’ – selfish, arrogant) and I think it presupposes control of actions, so you don’t let rip or be unkind. Tim thought Aragorn was being ‘cheeky’ in taking so long to debate legends with Eomer, and Mike referred to Aragorn ‘bigging himself up’ when he declares his identity. Carol commented: Aragorn’s quite a modest chap but he has to impress on the Rohirrim that he’s no vagabond and so vaunts his true self. Julie remarked that Aragorn’s references to legends and to Lorien are descriptions of what it is like to walk in Faerie, and likened these to Frodo’s perception of Lorien. Mike noted that in the context of Aragorn’s debate with Eomer over legends, it is other people who make legends. And so we ran out of time and quickly negotiated our way around the tricky matter of our next meeting – which will not be until 26th Sept, because half the group will be off to Oxonmoot before that. Our reading for the end of September will be ‘The Uruk Hai’ and ‘Treebeard’. Elrond’s foresight? Boromir’s blowing his horn on the borders of his own country with dire need upon him. And poor Aragorn doesn’t seem to be able to put a foot right. Boromir is redeemed in the end, thought the redemption is death. It’s a lovely lament they sing for Boromir but I always wonder whence comes this ability to make up songs on the spot. ‘no other folk make such a trampling.’ Orcish behaviour is to destroy for the sake of destroying. How many people are really like that? ‘elves, dwarves , and men. Forth the three hunters.’ Aragorn is never gung ho or vaunting and this is the only example but I think it is to try to put some heart into their enterprise. (A mirror experience for the Window on the West) another of my favourite chapters because of the friendships forged in it. The eagle again, this time seemingly going home. What was his task? I know but I’m not going to spoil it. ‘not idly do the leaves of Lorien fall.’ All will be made clear in the next chapter. ‘twice 12 leagues’ – 72 miles – their stamina and endurance are amazing, over and above that of ordinary men. What lovely descriptions of the Rohirrim and their horses, everything about them speaks clean and wholesome – unlike the orcs. ‘have you sprung out of the grass?’ This will recur in a bit. Out of tales and songs people spring to real life. ‘Halflings! But they are only a little people in old songs and children’s tales out of the north. do we walk in legends or on the green earth in the daylight?’ One shouldn’t scorn ‘children’s tales’. They are a remembrance of things or folk that might be true. And the earth on which we walk has seen millenia of history in one form or another that might now only be a burial mound or ruined building. See Troy. ‘…green earth, you say! That is a mighty matter of legend, though you tread it under the light of day.’ see Time Team. ‘Dreams and legends a spring to life out of the grass.’ Characters from legend come to life. The Story is multifaceted – in the earth, in artefacts, in story, in people, places, songs, near and far. Eomer and Galadriel – suspicion among allies to Gimli’s dangerous chagrin. Eomer has some of Aragorn’s diplomacy and doesn’t want to ratchet up the tension, so gives his name first. I love it when Legolas says: ‘He stands not alone’, but it’s obvious Eomer doesn’t want trouble in his ‘humorous’ remarks about Gimli’s height but dwarves aren’t known for their sense of humour, especially when it’s a personal slight. Legolas and Gimli have been a bit unobservant not to have realised who Aragorn really is. Eomer’s dilemma – to obey his king’s orders and take Aragorn and co back with him, or to let them continue to search for Merry and Pippin, thus incurring royal wrath. It’s the same dilemma faced by Frodo and Faramir at Henneth Annun. Both Eomer and Faramir are of a new generation. They suffer in the short term from their respective lords. Fangorn and the Old Forest are said to be akin, remnants of a once far greater forest and both Tom Bombadil and Fangorn are referred to as ‘eldest’. Did they once know each other? On the way home from Bree, Gandalf goes off to talk with Tom and says that probably the only thing Tom will be interest in hearing about will be the ents – both live in harmony with their surroundings. Who is the wayfarer? Saruman? Gandalf? And the horses go – catastrophe!